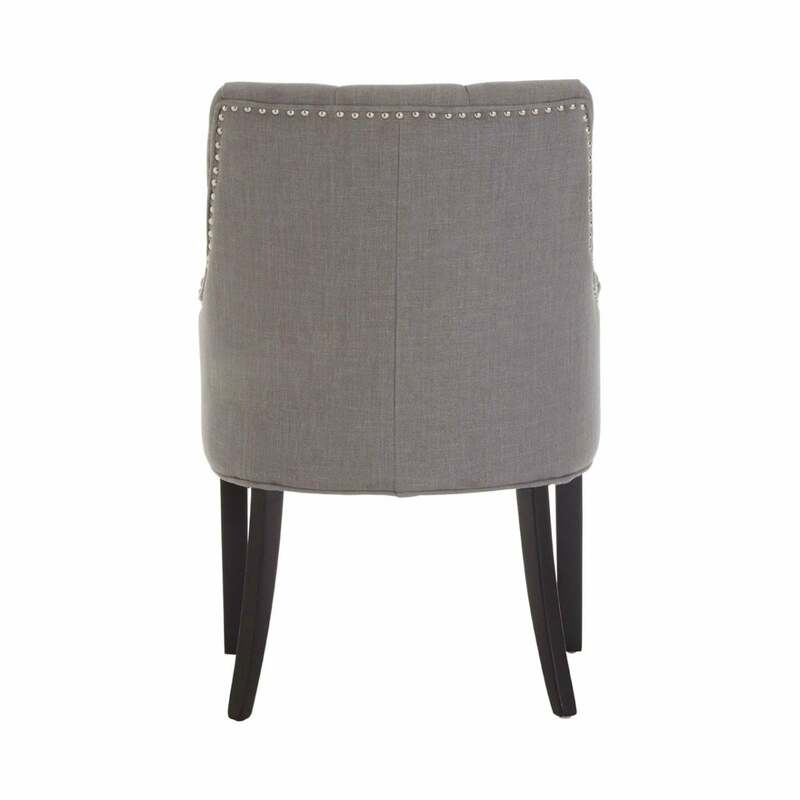 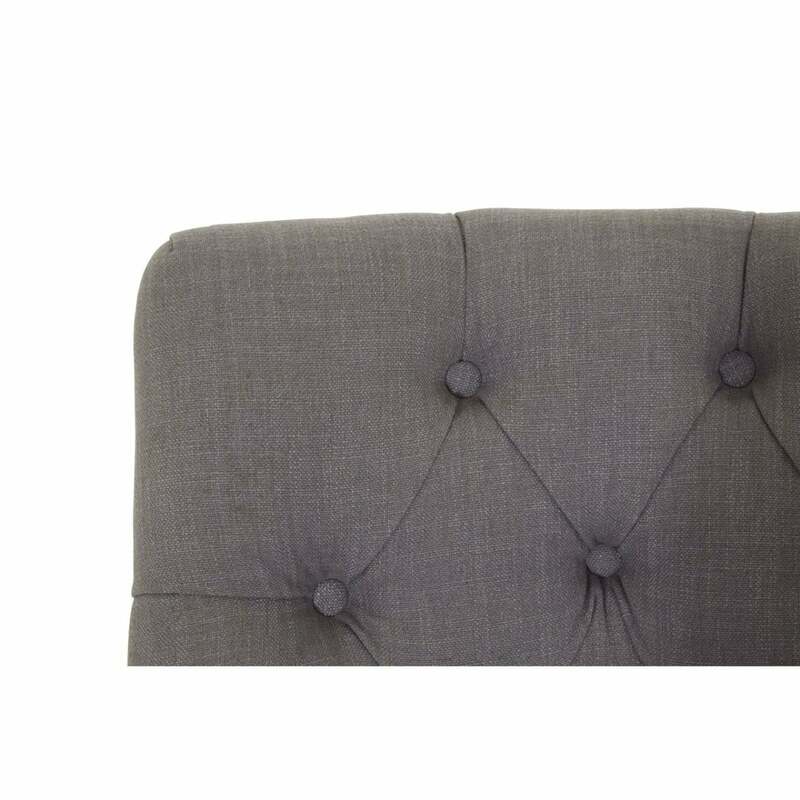 The Kensington Studded Dining Chair is upholstered in a light grey fabric, with a thick foam filling that provides a comfortable seating experience. 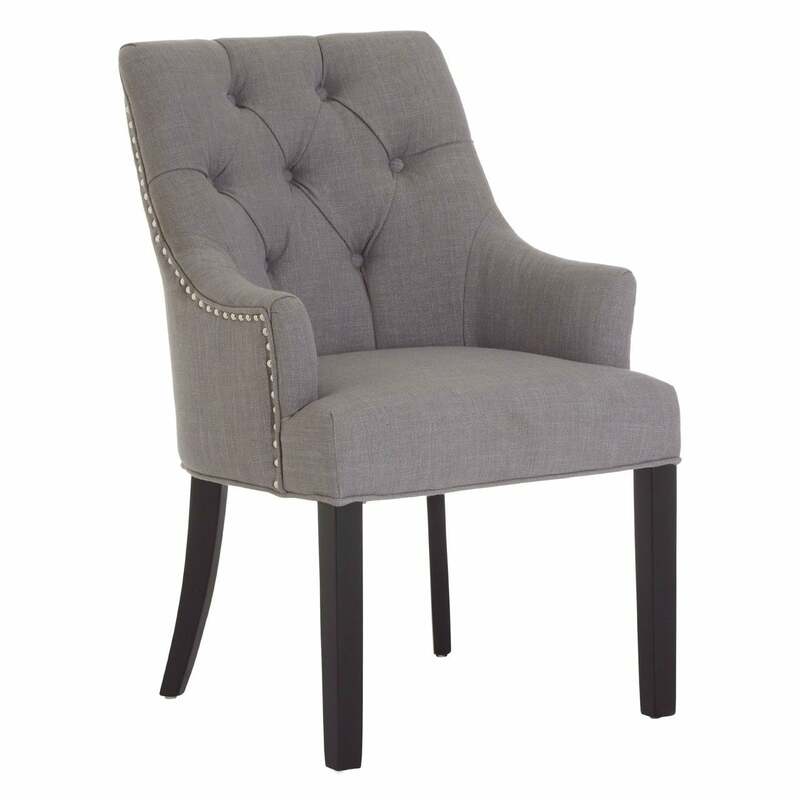 The curving armrests complement the shape of the chair's legs, while its tufted, buttoned back exudes classical style. 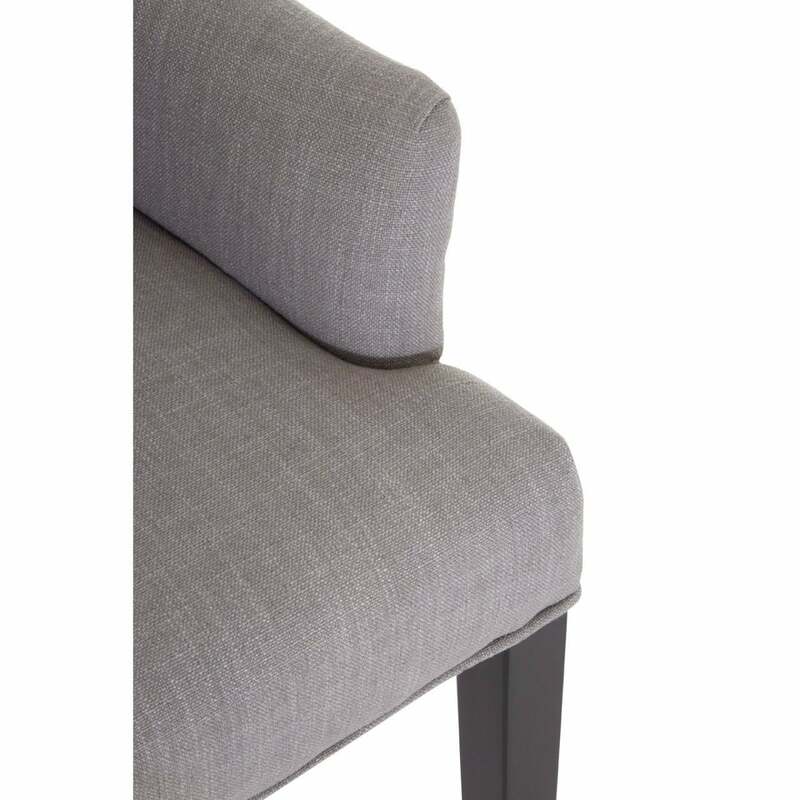 The legs are made from natural birch wood, with a black finish that juxtaposes the grey. 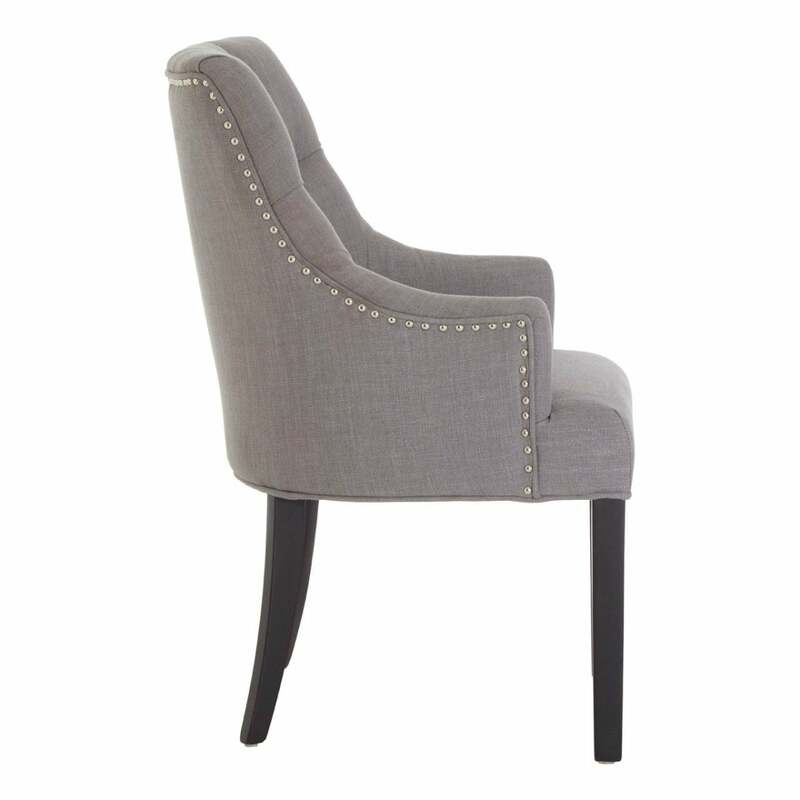 Add a touch of sophistication to your dining room with our chic Kensington Studded Dining Chair. 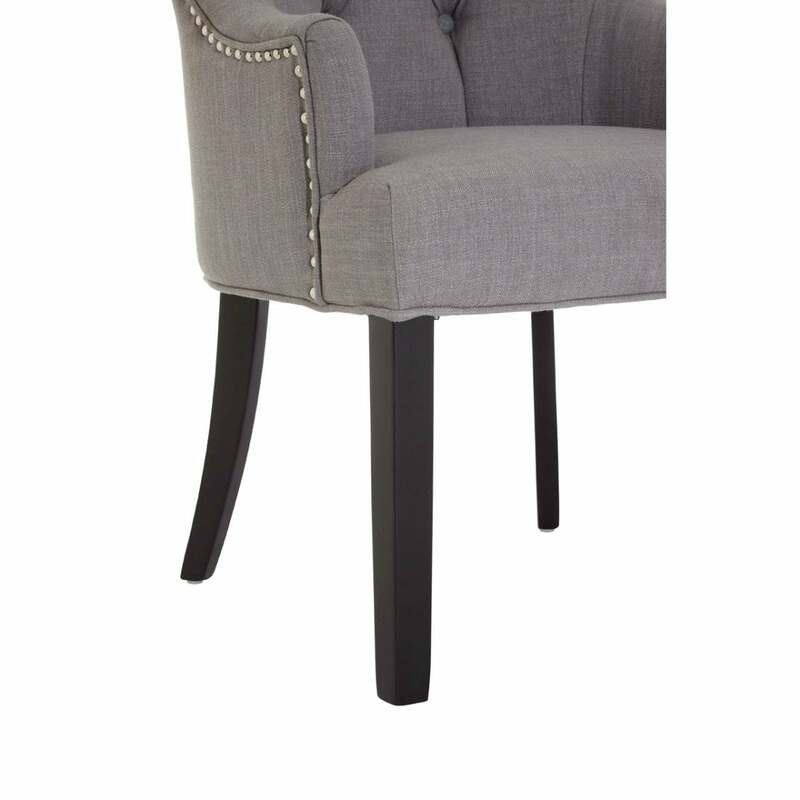 Complementing a variety of table styles, it is - perfect for creating a warm and inviting living space. 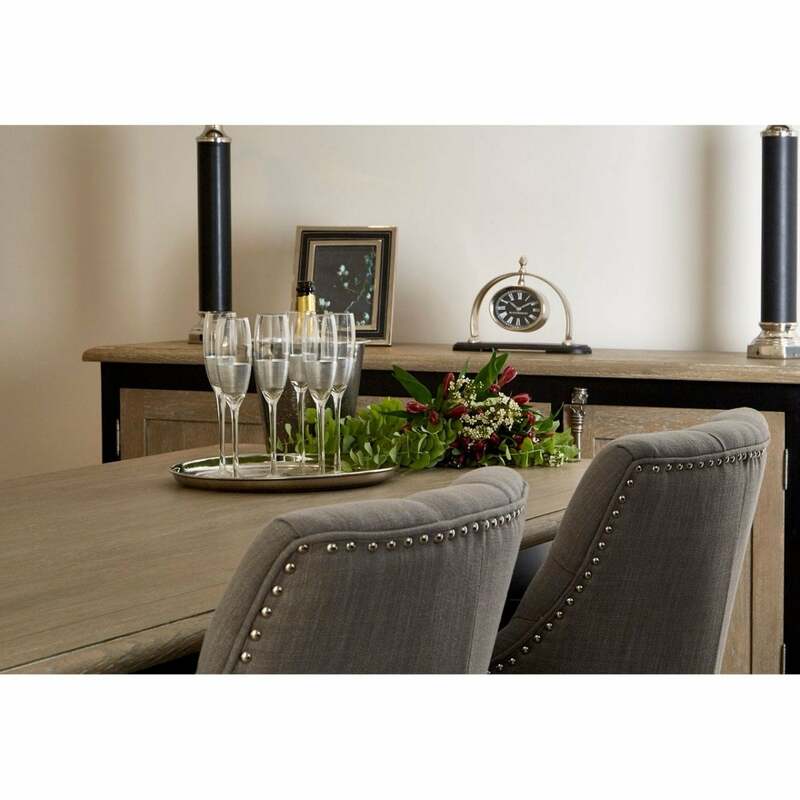 Combine with a Kensington dining table (available separately) to set the scene for casual everyday dining and the most sophisticated of soirees.